I went for a walk and came across a baby Mourning Dove. He was too young to be out of the nest and had a cut on his/her (not sure) leg. He was peeping very loud at me and trying to get closer to me rather than escape. I had to get him. Brought him home and looked up what kind of bird he/she is. I am feeding him a mix of kitten food, cooked egg yokes, infant whole wheat cereal, and added a drop of bird vitamins. My method is mix it well to a paste and then add water with each batch to feed him for the day. I use a straw that his beak fits into perfectly, just enough room to open his mouth. I can't even believe how much he can eat. He really seems to like it and is a very enthusiastic eater. He pretty much was a eating and pooping machine for the fist week and that was about it. Now he is still that but growing so fast also. I let him sit on my shoulder often and will wear my bath robe and he nestles perfectly in the V in the front, so that I can walk around outside with him and let him look around. He really seems to enjoy that. His home in the beginning was a little bowl with paper towels or tissues inside of a bigger bowl that I would fill with water and microwave after every feeding. He was happy warm and humidified but dry in his little bowl. He has graduated now to a shoe box filled with paper towels and a water bottle that I nuke for warmth. (I put it under the paper towels.) He likes being out of the box more often now though. I was in a debate with myself as to whether or not I should keep him. I think I will because of the mortality rate of the first year. Plus they are not in danger of a low population at all and he seems to like me enough. Peeps at me all the time and seems to say, what cha doin? When I let him roam around on the table he chases what my hands are doing and he likes to make typing impossible. I think he likes me a little bit, LOL. So I am leaning towards keeping him at this point. I don't see the harm in keeping him, anyone disagree? I suppose keeping him could be considered selfish but at the same time I am afraid that letting him go would be like a death sentence because he is accustomed to the good life at this point. One of my thoughts was a mate. I was thinking of buying another bird once he reaches that age. Do they sell Mourning Doves as pets? Well my BB (baby bird, BB is his street name lol) is doing quite well and getting stronger and prettier every day. I love the company and hope to keep him. I may do the whole if you love it set him free, and if they love you they will come back thing, but *sigh* part of me doesn't even want to do that. Well wish me luck! I found a two-week-old baby dove and took him home and raised him for six months. I used to take him outside everyday and let him fly around and it came home every night and would not leave. He is now six months old coming back twice a day and I feed him on a big blanket just like I did when he was little. He is gone the rest of the day, I think he has found a mate. We just found a sweet little mourning dove at the park, and while researching about it, I found that mourning doves are actually kicked out of the nest at 2 weeks, where the parents will continue to feed them till about 5 weeks. So it seems that while some of these baby birds were actually in jeopardy, some that people have scooped up and taken home were likely birds that were doing exactly what they were supposed to do, and those birds were taken from their natural environment to be raised by people. I think sometimes we do have to be more careful, while there are good intentions, often times the best thing for a wild animal is to let it alone. I am glad we chose to leave this little one. Thank you so much for the information on how to care for a baby mourning dove. I have been watching the nest for weeks and the parents are so great in their care. Something came last night and killed everything except for one baby. I am going to try my best to save the one mourning dove that is left and hopefully with all the information I now have, it will save the baby's life! I will turn it loose when it is able. Thank you for this web site. Take the baby dove to a wildlife rehabilitation center (look them up online or call your local zoo, veterinarian, or wildlife center). The bird has the best chance of survival and release with a professional who is trained in its care. In the mean time, keep it warm (hot water bottle or heating pad) and in a dark, enclosed space, like a cardboard box with lid. Do not try to feed it unless you are given instructions by a licensed wildlife rehabilitator - you are not legally allowed to keep this bird, even with the intention of releasing it someday. Good luck! You should try to contact the nearest rehabber if you can't return it to the nest site. If the dove can fly, it should really be put outside ASAP. The fact that it flies away from you is a good thing - it means the bird still knows it's a bird. 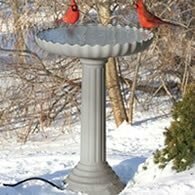 You can try mixing some seeds in with the cereal mixture and gradually reducing the amount of cereal until it's only eating seeds, but try to get that dove outside and back in the wild as soon as possible -- mourning doves are protected by law and cannot be kept as pets. Found this morning dove on the ground after a heavy rain storm. So I took it home an been feeding her baby cereal, witch she (Tinky) loves. But she's a messy eater. So it sticks to her feathers. An flies away from me when I try to bath her. She's about 23 days old. When an how do I get her off the baby cereal because that's all she wants to eat. PLEASE HELP! The comments have been as informative as the article - thank you all for sharing your kind thoughts and experiences. I found a baby dove when I was walking to my school bus one day, and I found a mourning dove we looked it up and I couldn't find out what he ate so I gave him different types of stuff aND it turns out he eats whole seed like Parker food or wild bird seeds. When I had found him or her it seemed to me to only be 2 weeks old and I have had it for about 5 weeks, so I'm guessing it's about 7 weeks old. I heard they usally fly out when there about 5 weeks old. But he won't leave I have seen him fly about 4 feet but that's it he really likes me but runs away sometimes when I walk to him on the ground. I take him outside and he won't fly away and I know he knows how to fly but he still looks like a baby. He has some adult feathers on his or her chest and some on head but he still looks small and still has a ton of baby feathers. He has been like this for a while to. So if anyone can tell me what I should do and how old they have to be to fly away that would be great.! I found a baby mourning dove that had fallen from the nest, I watched for several hours to see if the parents would attend to him, but never saw them. As night began to fall, I picked the lil guy up and brought him inside. I kept him warm through the night but fully expected him to die at some point in the night...a far better fate then being dinner for the neighbor's cat. To my surprise, he was awake and hungry the following morning. I hopped online and started doing my homework. I fed him baby food diluted in warm water and baby cereal. The best method I've found for feeding him is to take a syringe and cue the end off, place a rubber kitchen glove over the end a secure it with a rubber band (you tube video) snip a hole in the tip...and off we go,...eating like crazy! He was about 10 days old when I found him. I have since picked up baby bird formula at the pet store so he can get the nutrients he needs. I nuke bottles of water to put in his cage to keep him warm...he is now nearing 4 weeks, still eating through the syringe but beginning to nibble on millet seed. I still can't convince him to voluntarily drink water. We go outside every afternoon and he will "fly' or flutter to the ground from my hand...and follow me around on the ground. He has doubled in size and flaps his wings a lot, he has also begun preening himself. I bathe him about every other day in a bowl of warm water and dawn dish soap (blue). He gets pretty crusty as the formula drips down his chest. We are in late Sept. now and winter will be here soon, I'm guessing he'll be sticking around as he can't yet fly. I'm hoping to find a group of doves to fit him in with but he's too young yet to be on his own. Time will tell, but for now, he's a pleasure to have around! There is a lot of info out there online to help us muttle through his caretaking and do the very best for him that we can! Sad site that won't post my retort. That's the new way in America I guess. Doing the right thing trumps following the law like a brainless carbon based robot. I don't advocate anyone to take baby birds from their nest nor do I advocate that when people find them on the ground after a storm or other similar circumstance that they first don't try and to return them to those nests (Or take them to a wildlife rehab center.). But, sometimes those little birds ARE in need of a helping hand and I will ALWAYS give that helping hand regardless of some law made by brainless and non-empathetic politicians and the like. When you find and raise one of these little angels and you put your time and love into them and you read the dismal numbers for their first year survival then you (Well maybe, no YOU.) think twice about sending them to an almost certain death. So for you Mr. or Mrs. Funny. I'll bet you have never even broken the speed limit in your car (Sad for you.). You deserve a pat on the back for being just smart enough to follow the letter of the law. I don't fear anything when I do what is right over what is prescribed by law. I doubt that fear has anything to do with not posting comments. This site is not in the business of giving out advice to break the law, no matter how frivolous or pointless YOU may believe that law to be. The site admin commented below to correct bad information and make it clear that it's not as simple and black and white as "well it's not endangered so it's okay to keep it.". I suspect your unpublished comments were about defending your choice to keep the dove and to back up that choice with the fact that it's unlikely you'll be found - or to say that the law is silly, pointless, or stupid. It's too late for many of the doves on this site so far, but that doesn't mean that the site admin is about to begin posting recommendations to ignore the law and keep baby doves as pets. That is simply bad advice. Funny how my most recent comments have not been posted. Censor much? It is most interesting that two of my most recent comments have not been posted. Censor much? Why so afraid to post what I said in response to anonymous's remarks? Mourning doves may be relatively easy to care for as adults, but it is still ILLEGAL to do so. You're not just "not really supposed to keep them" - you are in violation of U.S. law. If you want more information, you can consult the Migratory Bird Treaty Act. 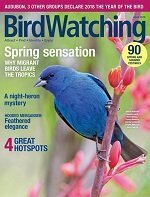 A bird does not have to be endangered to be protected - and all non-game U.S. native birds are illegal to keep as pets. If you're so very desperate to keep doves, then there are domesticated doves and pigeons, Eurasian collared doves, and diamond doves which ARE legal to keep. There's no reason and no legal way to keep wild birds as pets! Hello, I read your story about the baby Mourning Dove. To answer your question, they do not sell Mourning Doves. You're not really supposed to keep them but it is hard not to once you raise them! I just had mine get out of the house and I can't find him and I am just really going nuts trying to locate him. He and I are bonded together and he sees me as his mate. My feet are so sore from walking everywhere and calling for him. I am not going to give up! I wish you all of the best with your baby! They are so beautiful! Update on single parent mourning dove has stayed with the nest, it has been two weeks since other dove was found dead. Babies have hatched, and everything going well so far. The parent seems to be taking good care of babies. I showed this story to my 3 year old and she was very intrigued! It's fairly unlikely that the remaining dove will sit on the eggs (or if they do sit, the odds are against raising the chicks successfully without both parents). Some people with domestic doves have observed single parents raising their young successfully, but they are the exception rather than the rule. Doves are among many bird species where the males and females really do share nesting and feeding responsibilities, so the loss of one of the pair is problematic. It's likely that the remaining dove will move on and find another mate so it's possible you will continue to have a nest close to your home in the future. If the remaining adult dove abandons the nest, DO NOT attempt to hatch the eggs. Aside from the technical difficulties in incubating and hatching eggs, it is against the law to possess the eggs, feathers, nests, or living specimens of most native U.S. birds, including mourning doves. Just let nature take its course and remember that the remaining dove will move on and live to nest again. Can a single parent take care of babies alone? Hi, I have a question, for three years now we have had, what we believe are the same two Mourning Doves come build a nest in an empty hanging basket. (We have not taken it down for this reason ). Our Mourning Dove friends are on there second set of babies. We watch them raise and send off the first two birds of the season. The newest batch I believe are still eggs, and last night we heard a crash on our window and sure enough one of the birds was laying dead down on the patio (think it is the mother). We are very sad, we feel like they are a family pet after 3yrs, and need to know if the other parent can take care of the eggs/babies alone? There is a local FACEBOOK city site that had someone post about finding a baby dove, due to a bad windstorm, about 5-6 days old at the time, who had cared for it for a day but was looking for someone longer term. I bred cockatiels for years and had my first love of birds when finding a baby robin about 22 years ago, that was brand new. I agreed to take in this dove. With the Robin, their was No mother or nest in site, and the baby was in the hot sun with no feathers. I knew nothing about birds. But knew this poor baby needed some water and to be brought out of the sun. So, Here I am with this mourning dove. I believe he's about 14 days old now, and seems uninterested in eating on his own. I'm worried about that. But working on it. He's a sweetie! Loves to perch on me. I want to release him eventually but afraid for his future with the large amount of cats in this neighborhood. I already have two cockatiels. Researching all I can on how to best help this little guy. Being selfish for taking him in... Is the opposite of what I am. Any animal deserves a chance at life. So I will do what I can. If I fail and he dies... At least I tried and he was happy for that period of his life! What to do with dead baby dove? Of the two baby doves in nest on my property, one has died and is starting to smell really bad. I wasn't sure if I should intervene and assumed I shouldn't touch baby or nest. I read online that the dead one should be removed from nest; however, there is always an adult dove in the nest and I don't want to disturb adults in fear they may not come back and take care of the baby that's still alive. I haven't done anything and probably won't because my gut's telling me to leave them alone; however, if the dead one is going to have an adverse affect on the one that's alive, then I will remove it. Confused, but leaving them alone for now. Not sure if it matters, but they made nest about 6' above ground in crepe myrtle. It is against the law to keep mourning doves as pets. 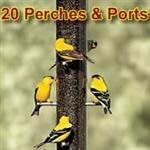 They are protected by the Migratory Bird Treaty Act. This protection also applies to their nests, eggs, and even their feathers. No matter how good your intentions are, you are dooming your cute little doves to a brief and unnatural life - even if they survive to adulthood (not a guarantee even when raised by a professional wildlife rehabilitator) they will not survive on their own outside. Raised by humans, the doves will not be able to recognize their own kind, recognize danger and predators, or find food. Please do these birds a favor and leave them alone. I found 2 mourning dove eggs that fell from their nest that was on a ledge above my window, so I brought them in and they are incubating right now. BTW, 1 of the eggs had veins since the 4th day so its growing but the other is turning into a brownish color and there are no veins so I think that one is rotting :( It's the 10th day since I brought them in. I have a couple of questions, I was wandering if it's legal to keep them as pets? If they are, my mom might let me keep it/them (I'm 13). Another question is, when they hatch they are all wet so am I supposed to dry them off or should I just put them in their heated nest system that I made? And I read on some sites, that you are supposed to feed them within 4-6 hours after they hatch and other sites that you should wait at least 12 hours and that's a big difference, which one is correct? Also, I'm home-schooled so I have the time and I am more than willing to take on the responsibility even though it may be tough. Would like advice from an experienced person only. STOP TRYING TO KEEP BABY DOVES. 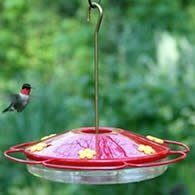 It's illegal under the Migratory Bird Treaty Act to possess virtually ANY native bird -- from hawks and owls to robins and doves. Even when you try to "do the right thing" or you think "it's so cute and helpless" you are in violation of U.S. law. 1. Let nature take its course -- doves in particular breed like rabbits and not every baby bird makes it to adulthood. 2. Take it to a licensed wildlife rehabilitator in your area. If you actually manage to raise these babies to adulthood -- no small feat considering how often baby birds die in our hands from malnutrition, aspirating food, dehydration, hypothermia, and permanent deformities caused by improper diet/housing -- you have doomed them anyway. They will never have the benefit of learning how to recognize danger, find food, or survive in the wild. They will also never find a mate, never raise their own family (and pass on their genes) and they will never be functional wild birds. Every response on this page, save one, boils down to extremely selfish actions on the human's part. You may say "I was just trying to help!" but what you really mean is "I thought it was cute!" or "I couldn't say no to my child!" or "I just want to have a unique pet!" or "He obviously loves me!" or the really big one: "I can't bear the thought of 'MY' bird leaving!" No matter how good your intentions are, you will never be a substitute for a proper life in the wild with members of its own species. So please, for the sake of these birds that you love so much, leave them in the wild where they belong. My friend found a baby morning dove one year ago. We call her birdie. She was just inside the house. 2 days ago my friend thought he could teach the dove how to get along in the outside world, welllll the dove got scared of something and flew away. We are so upset, cause we don't know if the dove can survive. My son and a friend found two mourning doves on the side walk outside my parents house. They brought them in and tried to feed them various things. The next morning however the smaller of the two had passed away sometime during the night, we suspect. The other one however is quite strong and healthy. I have been feeding him a mixture of cream of wheat, crushed seeds and budgie gravel. 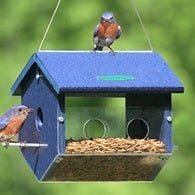 Birds don't digest food with enzymes and stomach acid the way people do, so the gravel is a very important part of what you feed them. 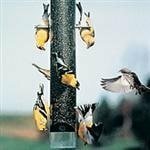 Just a sprinkle is enough to ensure that any ingested seed will be ground up enough to be pooped out! Here's hoping that he continues to get stronger, as he has done over the last 3 days! My mother has nursed a few doves back to health, she's my hero! She feeds them as babies and cares for them by mimicking the love of the real momma. As they get a bit older, she takes them outside to get used to it and one day, they fly off. It's not sad, it's rather victorious! For as long as I can remember, there has always been dove birdseed on her porch, and she swears that her baby doves always return. Tonight, my husband found a baby dove in need of help and felt compelled to bring it home. It looks like my mom (the Bird Angel) will get to bond with yet another dove. I found a baby mourning dove in my front yard, and I watched it for a while. It wasn't walking right, and all of my neighbors were mowing their lawns so I thought the worst. I put it in a box with old t shirts on the bottom. I waited to see if I saw any other parent mourning doves, but I haven't seen any mourning doves since. I caught it approx. 24 hours ago. I called some wild life centers and the closest one to me hasn't called me back. I gave it water and I gave it a mealworm. It was playing with the mealworm, but i'm not sure if it ate it. My mom won't let me feed it yolk, but it wont eat the seeds I crushed for it. plus, am I allowed to touch it with bare hands or will it give me a disease, or vise versa? Sorry Shannon that's not the way it works. The bird doesn't have to be an endangered species. 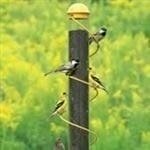 All birds except House Sparrows, European Starlings, and Pigeons are protected by the Migratory Bird Treaty Act. It's illegal to be in possession of wild birds without a license or special permit. I thought I should clear that up before going any further. Most of the birds people are finding on the ground are simply birds that have left the nest. Most birds do not fly when leaving the nest. Doves can take a couple of days after leaving the nest before being able to fly very well. Keep him! he/she is not an endangered bird and he/she has now bonded with you - congratulations mom! I too found a baby dove last night, actually my Westie found it. Mine is fully feathered and bigger than the one you have but still a baby. I have him/her in a shoe box with a soft towel and was feeding a sugar water (homemade hummer food) until I searched and read what you are feeding. He/she is weak but taking small amounts of the mixture so I'll cross my fingers. He/she is so sweet and beautiful. All is can do is keep an eye on him/her and hope for the best. If the dove is still with me on Monday I will take him/her to the office with me to watch and feed throughout the day - one small perk of being self employed! Your fortunate little dove has been raised as a domestic, and will be confused--if not in peril in the wild. They are quite intelligent, and can live 7 to 11 years in captivity, while the lifespan of a wild dove is considerably less. Sorry Kim, but we can't publish the quote without the authors permission. We live in a very litigious society. I have been watching and feeding Mourning Doves with 2 baby birds a week old. Both parents were at the nest yesterday when I said goodnight to them, what a beautiful sight. In the morning the nest was empty. There is no way one week old babies could fly. I am terrified that they were taken by an animal. Today one parent was looking at the nest in my yard and I felt so helpless. There must have been something I could have done to keep them safe and I failed. 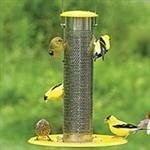 All the bird seed in the world won't help them now. Life is hard sometimes. But they brought me such joy while they were here. We went on a bike ride and found 2 baby morning doves lying on the street. One was unfortunately deceased, but the other was sitting helpless in the middle of the road. We picked it up with a rubber glove so that our scent was not on it and we put it back in the nest. I've been watching the nest, but can't see if the mother came back. Can anyone tell me how long I should wait to see if the mother comes back and takes care of the baby? It's been back in the nest for a few hours and it is dark out now. Wondering when/if I should take it out and start to care for it. I found...well a baby mourning dove found me a week ago after a bad thunder storm, in which his/her nest was destroyed. The parents were around but would only tend to the 1 that was still in the tree and the one I found fell out of the tree on me. I tried to put him back they knocked him out a few times. I noticed he had an pretty badly injured wing/leg. So I took him in and have been feeding him kitten formula, baby grain cereal, and ground up bird seed, all warmed up a bit not too much (I test it on my arm) out of an eye dropper we got at walmart. As he grows I add more seed and less liquid, but I let him drink water now on his own a few times a day to avoid dehydration. He adores us and never having had a bird and hadn't really thought much of them, we have fallen in love with what we call the dove 'lil dude' LOL! I will try again to release him if his injury heals up (we have no Dove re-hab in Southern Nevada close at all). If he does not heal I will continue to research mourning doves and keep him as part of our animal filled family here. I was wondering if anyone here has or knows how to care for the mourning dove once it is 3 plus weeks and how to keep him safely in my house and away from our other animals and safe if he does start to fly. Also where can I get bird vitamins and what kind are best for doves? No pet shop here has or knows anything as Nevada is the dove hunting state :( and what type of seed is best to feed the lil dude. About a month ago my husband came home from work and handed me a box he said to me " I think you will like what you find in here" Well I was surprised when I opened it to find two beautiful baby Mourning Doves (they only had pin feathers on them at the time. roughly 3 to 4 days old). My husband found them at work the mother was killed and they were alone in the nest and at the construction site the nest needed to be moved so instead of leaving the doves for nature to care for he brought them home to me. I raised a mourning dove before and was very successful she never left me although I attempted many times to release her. She lived with me for 10+ years. I fed my two babies whom we named Charity and Chance baby bird formula that you can find at your local pet store and they thrived well on that they are now on seed alone and are very attached to us. And once again these two we attempted to release and they circled around our yard and returned to our shoulders. We have attempted this at least 5 times already and they just will not leave us. They will follow me around the house and will peep to me when I pass by them. They are truly a treasure to have with us! They are part of our family now. As they grow I will post more stories of them. We incubating 2 morning dove eggs. Now we are wondering what to do if they hatch. Suggestions. 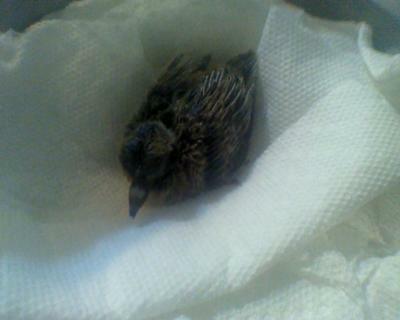 I have a baby mourning dove that is about 2-3 weeks old. He/she is an eating machine. I found that mixing a bit of baby cereal with a little corn meal until it's like pudding works well. Getting him to open his mouth was an issue the first day until I realized he was interested in my fingers. He like to put his beak between my fingers and then open his mouth, and that is my opportunity to put the dropper in his mouth and give a short, quick squirt of food. 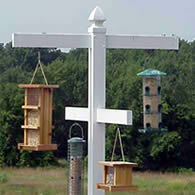 As for those with weaned birds, mourning doves are seed eaters, not insect eaters. Mix the food with seed as it starts to eat more on its own. I felt the need to bring in a baby bird I found outside my window - the mother was still landing to feed it though and it was of considerable size (almost adult size) - I left it to nature - it had crawled under my window ledge for the night and seemed as safe as it could be. In the AM I went looking and found it beside the house - actually only the tail & wing feathers were left. I felt awful for days as the mother kept looking for her baby. But I think she was over it before me and the baby did have a closed eye that didn't seem right. Sometimes nature is the most humane. Something went home that night with a meal for it's children. My son who is also 7 found an adult mourning dove, or at least that is what we think it is based on the pics that we looked up on the internet. still deciding whether or not we should keep it. It seems to have a bum wing. I was wondering if they can carry any diseases. We live in central tn. and seem to see a lot flying around. my 7 year old at the time found 2 birds on the ground we have been taking care of them for about 5 month we thought it was time to let them go because they are big and pretty and we thought that it was time one of the bird dint want to go but the other one flew away and my son cried and cried but i talk to him this happen on friday with the bird and on saturday morning my husband found the bird next to our window and it was linping what can i do? I just read about your experience with your baby bird. My husband just came home with a bird that has been hit most likely by a car. He / she was sitting on the side of the road. I believe it is a morning dove, its wing has some broken bones on the upper side and a small wound to the head. But he seems fine otherwise, seems alert and moves around.But can not fly. we are not sure if this could change if he gets a chance to heal? Any ideas on what to feed him and how he best can heal, would be greatly appreciated. He is currently snug as a bug in a box with warm blankets and a lamp above to keep him warm. My son and I are taking care of a baby bird we had a hard time identifying. Thanks to your site we now know we have a Mourning Dove. He/she is beautiful. I was wondering how you were making out with keeping him. We don't know if we should keep him or let him go after he gets healthy.